He was never a magnificent ring master in the golden age of the big tops. 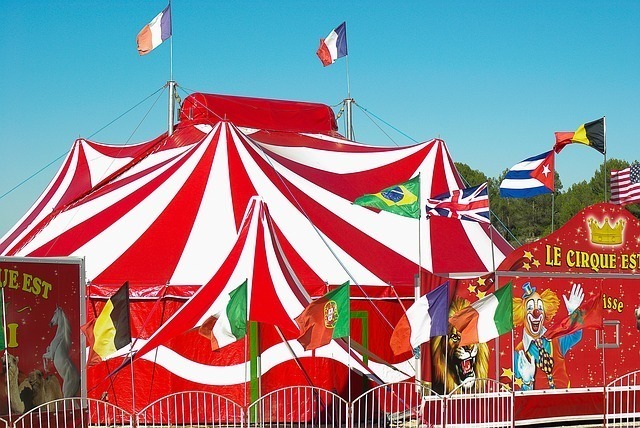 There were no clowns, acrobats, or flying trapeze artists. And definitely no musical fanfare. But nonetheless he totally owned the stage where he stood and always put on the finest of performances. He was without a shadow of a doubt a maestro! He was also the owner of my local opticians that I used to frequent – just to see him hold centre stage. Not only was he friendly and charming, but he knew all his customers on a first name basis; what they liked, where they worked and the names of their kids, grandchildren and family pets. Plus he gave away amazing deals on his range of designer sunglasses and spectacles… many of which he personally modelled himself. In fact, so good was the buying experience, that going to the opticians at the weekend became a bit of a Saturday treat. He would often throw in a pair of shades for free and some after care products – just for the heck of it! He was also incredibly attentive and knew how to work a busy shop (which trust me, it always was). I asked him one day how he managed to give away such great deals, and why he was so generous to all his customers. His response was ‘That’s easy. Who are you always going to come to when you need a pair of glasses?’. Did he have a fancy logo and super slick brand colours? Nope. In fact the shop was a bit of a shambles. Was he an absolute legend who delivered value to the market he served? ABSOLUTELY 100% YES! If I hadn’t moved away I would still be his customer. But you see, it was not just the service he provided and his super money saving deals, but it was the way he made his customers feel. He made us feel special and cared for, like the purchase of the right pair of spectacles was the only thing that mattered to him in the whole world. And it’s an important lesson to learn when it comes to copywriting. You see, if you create something nobody wants or which is not targeted to the right audience, then no amount of great copy or ‘showmanship’ will ever work. If you need help with the ‘feels’, get in touch. Let’s make the world your stage!